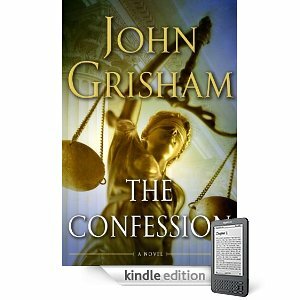 Amazon released the Kindle for PC application free of charge, allowing users to read Kindle books on a Windows PC. Amazon later released a version for the Macintosh. Versions for mobile devices running on operating systems from Research in Motion, Apple, Android and Google are also available free of charge. None of these alternate versions can currently read newspapers, magazines, or blogs, the way they are readable on the Kindle device itself. Amazon has announced that periodical support will soon be added to the Kindle apps for other platforms. you can download the free Kindle app from iTunes store and read books on the move using your iPhone or iPod Touch. While most eBooks available on the Amazon Kindle store are paid, here are some simple ways by which you can find and download free books for reading on your Kindle Reader or your Kindle Desktop application. Project Gutenberg, Google Books and FeedBooks are some popular sites that offer a large collection of public domain books in the standard ePUB format. (from Amazon itself) to convert these public domain books from .epub into .mobi format that you can then import into Kindle Desktop for reading*. That means you now have millions of out-of-copyright books for your Kindle for free. [*] You can also use Stanza to convert PDFs, HTML web pages and other Office documents into .mobi format for reading inside the Kindle App but I see little reason why would anyone want to do so since the reading experience is not all that great. Before your proceed, please log-in to your Amazon account, choose “Manage your Kindle” and change the country associated with your Kindle account to “United States”. This is important because most “free” content on the Kindle Bookstore is currently restricted to North America. #2.1 Big Deals – This is more of an official listing of Kindle books that are currently available as a free download on Amazon.com to Kindle users. You should also check the Bestsellers category on Kindle Store as it again lists quite a good number of free titles. 2.2 Sort by Price – When you search for a Kindle book (or any other item) on Amazon.com, it displays search results by relevance. If you change this default sort order from “Relevance” to “Price: Low to High”, you’ll get a list of all Kindle books that match your search keywords and are available as a free download. For instance, here’s a list of Kindle books that are related to “India” but cost exactly $0.00. 2.3 Listmania - This is another resource where you can discover Kindle books that are available for free. Listmania Lists are basically a list of products compiled by Amazon users. You can use search phrases like “free kindle books”, “kindle freebie”, “penny kindle book”, etc. to discover lists that may free books you are looking for. For instance, here’s one Listmania List of 27 classic books for Kindle that are absolutely free and here’s another one that also includes copyrighted books. 2.4 Use Google – Here’s an unofficial method to help you find Kindle books that are available for free on Amazon.com. You can use the following search query in Google to search the Amazon store for free Kindle books – just replace the search-phrase in red with the name of the book, author, book category, etc. If the cost of a Kindle book is mentioned as $0.00 on the Amazon Store, it will still show up as $2.00 for you if the country associated with your Kindle is something other than United States. This is because Amazon charges a $2 roaming fee for “international downloads”. You can either temporarily change your Kindle country to US or use the “Transfer via Computer” option when buying a book and you won’t be charged that extra $2 fees. Recently I have bought a book-reader...it's amazing!!!!!!!!!!!! * Electronic-paper display provides a sharp, high-resolution screen that looks and reads like real paper. * No computer, no cables, no syncing. 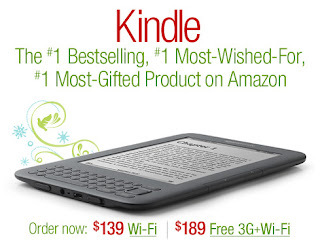 * Wireless connectivity - you shop the Kindle Store directly from your Kindle from anywhere, just like using a cell phone! When you buy a book, it is auto-delivered wirelessly in less than one minute. * More than 88,000 books available, including 100 of 112 current New York Times® Best Sellers. Free book samples. Download and read first chapters for free before you decide to buy. * Read top U.S. newspapers including The New York Times, Wall Street Journal, and Washington Post; read top magazines including TIME, Atlantic Monthly, and Forbes — all auto-delivered wirelessly. Read top international newspapers from France, Germany, and Ireland; Le Monde, Frankfurter Allgemeine, and The Irish Times. * Read more than 250 top blogs from the worlds of business, technology, sports, entertainment, and politics, including BoingBoing, Slashdot, TechCrunch, ESPN's Bill Simmons, The Onion, Michelle Malkin, and The Huffington Post. * eBook device is lighter and thinner than a typical paperback; weighs only 10.3 ounces and holds over 200 titles. * Unlike WiFi, Kindle utilizes the same high-speed data network (EVDO) as advanced cell phones, you never have to locate a hotspot. No monthly wireless bills, service plans, or commitments — Amazon.com takes care of the wireless delivery so you can simply click, buy, and read. Includes free wireless access to the planet's most exhaustive and up-to-date encyclopedia—Wikipedia.org.